When it comes to developing results-oriented direct mail campaigns, consider letting a direct mail expert develop and execute a successful campaign that fits your needs and budget. One of direct mail's biggest advantages is its ability to make personal one-to-one contact with your customers or prospects. Mass advertising (TV, print, radio, etc.) can be expensive and isn't always an option for small businesses. But direct mail can focus on a smaller group of prospects who are more likely to respond to your offer, giving you more bang for your buck. 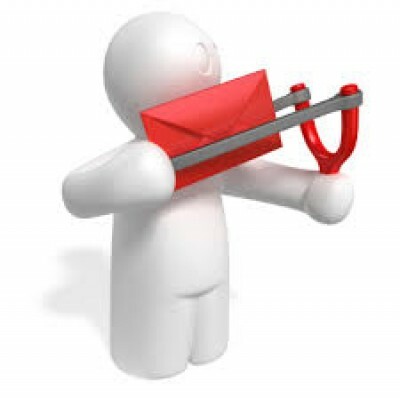 With direct mail, you can address your customers by name, speak to them individually, and appeal to their interests. And when customers feel that you understand their needs, they’re more likely to respond. From letters to postcards to brochures, a wide variety of inexpensive and easy formats are available for your direct mail campaign. You can add impact by including a special offer or free sample in the envelope. Direct mail allows you to physically place your message in your customers’ hands and encourage interaction. Along with an engaging message, you can make an unforgettable impression by incorporating elements that actively involve the customer, like stickers, samples, and coupons. Direct mail is one of the few media channels that give you the ability to track the success of your campaign. It’s as simple as counting the inquiries you received or counting the number of coupons redeemed. By tracking and analyzing your results, you’ll see what's working and can make adjustments to future mailings if needed. It's less competitive. Your advertising message does not have to compete with other advertising messages. And, your competitors are less apt to know your current strategy. It’s easy, cost-effective, and develops customer loyalty. You don’t have to be a direct mail expert with a big budget to advertise with direct mail. Direct mail also allows you to build and maintain a list of prime prospects for your future direct mail campaigns. Ready to get started on a creative, value-added direct mail campaign for your customers and prospects? Contact us today for FREE Consultation!